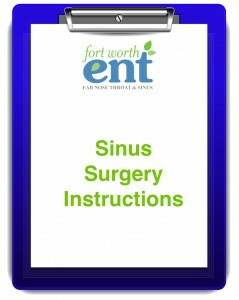 The Fort Worth Sinus Center provides the following Sinus Surgery Instructions for our patients to improve their preoperative experience and postoperative recovery. Based on your medical history, physical exams (including an in-office CT scan and possibly an MRI), and your responsiveness to maximal medical treatment, your doctor may recommend functional endoscopic sinus surgery (FESS). Once your surgery has been scheduled, your doctor will advise you on how to prepare for your procedure. Please review and complete any necessary patient information forms. Proper preparation for surgery is a key component in the success of your surgery. Afrin® (metazoline): Spray into nose 2-3 hours before surgery. You may also use after surgery if steady bleeding occurs. Do not smoke for at least 3-4 weeks before surgery. Smoking increases scar tissue and can lead to the failure of your sinus surgery. Aspirin or non-steroidal anti-inflammatory drugs (NSAID) such as ibuprofen (Advil, Motrin) and naproxen (Aleve): Avoid for two weeks before surgery. Blood-thinners (anti-coagulation) medicines such as Coumadin (warfarin) and Plavix (clopidogrel): Check with your primary medical doctor on how to manage these blood thinners prior to surgery. They may need to be withheld temporarily before and after surgery. If you are taking any other medications, consult with your doctor as to whether you should continue to do so prior to surgery or on the day of surgery. Any medication on the morning of surgery should be taken with very small sips of water. An empty stomach is necessary for the anesthesiologist to safely administer an anesthetic, therefore eating or drinking anything can result in surgery cancelation. Bleeding: Bloody postnasal discharge is normal for 3-5 days, possibly up to two weeks, improving steadily. You may also use Afrin nasal spray to stop bleeding. Do not blow your nose for 2 weeks following surgery. 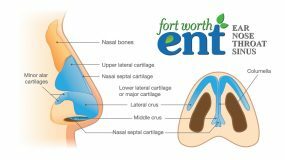 Nasal congestion and discharge: Thick, bloody mucus and nasal congestion are normal and should subside within 2-3 weeks after surgery. Discomfort: Nasal/sinus pressure and pain may occur for a few days after surgery. Extra-Strength Tylenol or a postoperative prescription given by your doctor should alleviate discomfort. Fatigue: Most patients feel fatigued during the first week after surgery. Although some patients return to normal activity sooner, you should plan for at least a seven-day recovery period. You can use an over-the-counter nasal saline spray (Ayr, Ocean, Simply Saline) every 2-3 hours after surgery. This will moisten the nasal passages and make you more comfortable. Do not start a sinus rinse kit until instructed by your doctor. 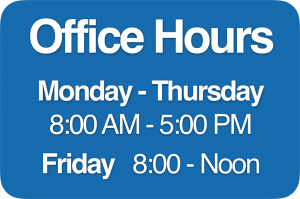 You will have several follow-up visits over the weeks after surgery. During these visits, your doctor will clean any dry mucus or blood from the nose and monitor your healing process. Scar tissue may need to be removed using a local anesthesia. 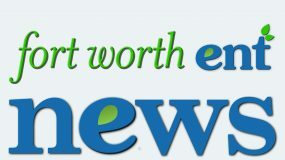 Nose blowing: Do not blow your nose for at least 2 weeks following surgery. Straining/Lifting: Straining can cause bleeding. Do not lift over twenty pounds for 2 weeks. Overexertion: Exercise can be resumed at 50% of your regular routine one week after surgery. Normal activity can be resumed after two weeks. Steroid nasal sprays: Avoid using for two weeks to allow nose and sinuses to heal. Consult your doctor before using. Avoid NSAIDs like aspirin, ibuprofen (Motrin, Advil) and naproxen (Aleve): These medications can promote bleeding and should be avoided for two weeks. Postoperative care is an essential factor in your recovery. Following your doctor's instructions and attending all of your follow-up appointments will promote a successful surgical outcome. Although complications with endoscopic sinus surgery are extremely rare, there are risks involved any time a patient undergoes an operation. Infection: While antibiotics are generally given during and after surgery, some patients develop sinus infections requiring stronger antibiotics. Bleeding: In rare cases, excessive bleeding can occur causing termination of the surgery or the need for nasal packing after the procedure. Vision problems: In extremely rare instances, injury to the eyes during surgery can result in temporary or permanent vision changes or double vision. Temporary blurry vision usually resolves without further treatment. Tear duct injury could cause excessive tearing. Swelling around the eyes may occur. Cerebral Spinal Fluid (CSF) leak: In rare occurrences, the bone separating the brain from the nose can be injured during surgery resulting in a CSF leak. Generally this is repaired immediately; however, if discovered after surgery, another procedure is required. Other risks include septal perforation, numbness in teeth, changes in smell or nasal breathing, and recurrent sinus disease requiring steroids, antibiotics or a second surgery.